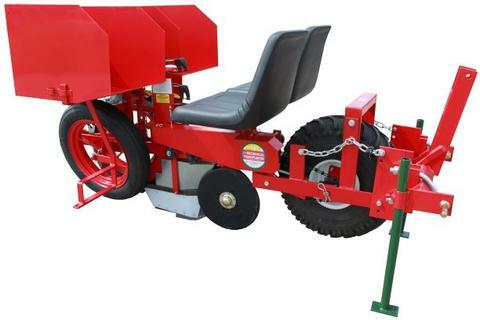 The Model 948 Mulch Transplanter has the same features as the 912 with plants spacing capabilities of 14", 17", 22", 27", 44" and 86". 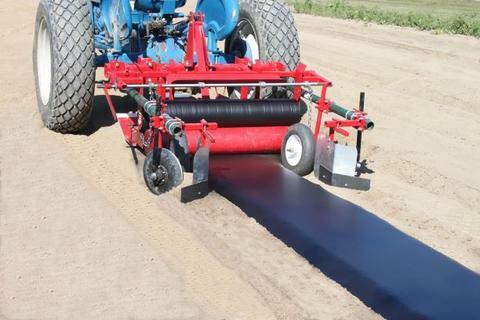 The Model 92 Deluxe Mulch Layer is the top of the line for plastic mulch layers and is the most fully adjustable and free floating layer currently on the market. A leveling pan gives very smooth and firm beds. Bed shaping shoes open furrow for the stretch wheels to hold the plastic while rear cover discs apply soil to edge of plastic. Large soil shields keep the plastic surface clean and allows for faster speeds. The Model 5500 is the most advanced planter available today. 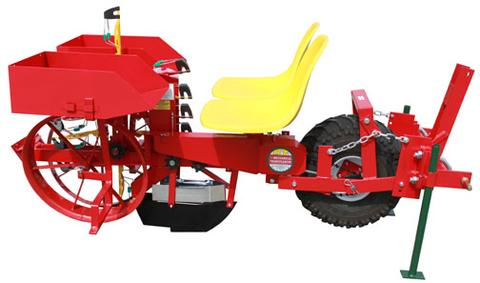 A new cam activated plant ejection system, six cup feeder, adjustable shoe and easy adjust patented ski system to eliminate the packing wheels, makes the Model 5500 the fastest and easiest-to-use transplanter on the market. The Model 33 6000 transplants up to 3" round or square peat pots or large cells as fast as 60 plants per minute. The 12 pocket chain allows for fast and effective plant placement and a wide variety of plant spacings. Quick change spacing sprockets for spacing as close as 8"